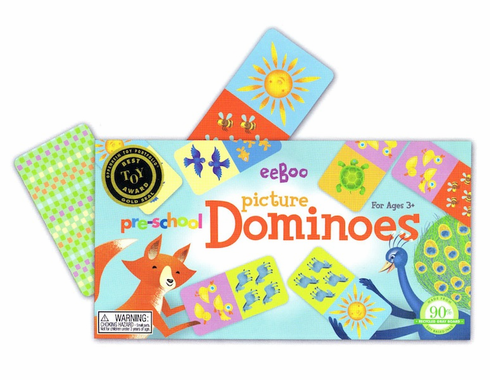 Domino pieces have pictures of your child's favorite animals on them. Great for pre-schoolers. Pieces measure 2" x 4", are made from 90% recycled gray board and use soy based inks.